Peel the skins from each onion, taking care to separate the skins into two piles according to color. Time for the fun part! Grab your pots and fill it halfway full. Add eggs. Place the red onion skins in one pot, and the yellow onion skins in the other. Add one teaspoon of vinegar to each pot. Bring both pots to a boil, then reduce heat and simmer for 15 minutes. Remove and discard the skins, then place eggs in a bowl to cool. 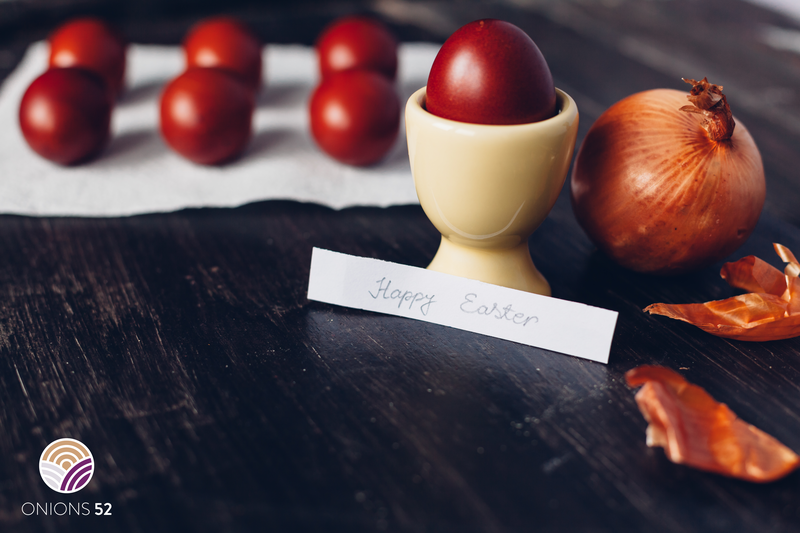 For a deeper, richer color you can leave the eggs in the onion water and place in the fridge overnight. 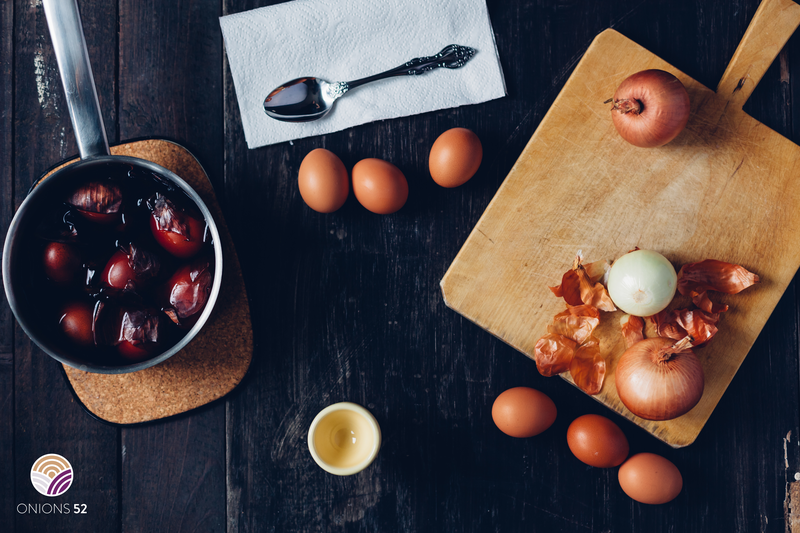 In the morning you’ll have amazing eggs that look almost too good to eat. 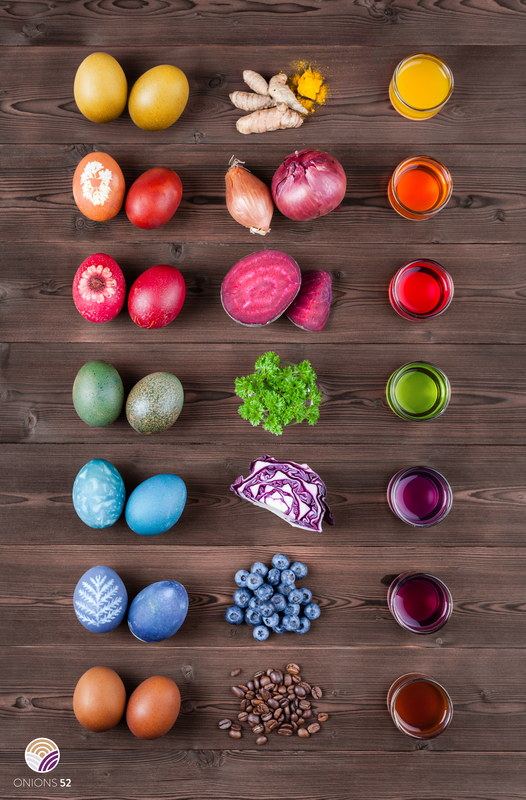 Use tumeric, blueberries, coffee beans, red cabbage, beetroot, and kale using the same method above to create various shades of colored eggs.